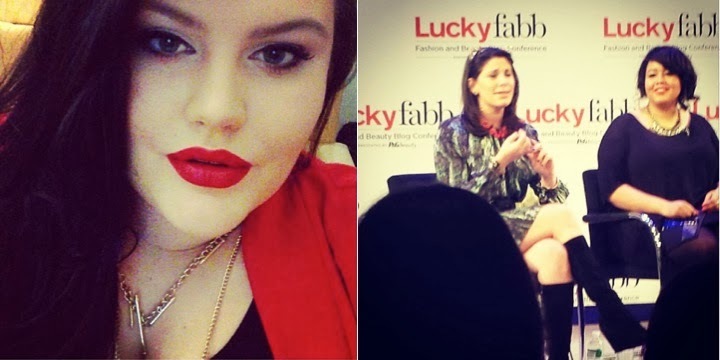 I wanted to do a quick recap of my #LuckyFabb weekend. I had an awesome time and I definitely plan on going again. They will be having one on the west coast in the Spring. I hope this will help give bloggers some insight on the conference and help them decide if they will want to attend in the future. Needless to say, the swag bag was insane. 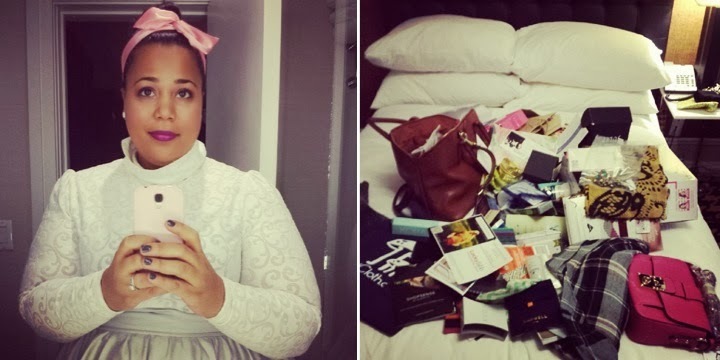 I'm not sure if this sounds ungrateful, but I am a person who often gives away swag bags. In an effort not to keep stuff that I really don't want, I am quick to pass it on to someone who will appreciate the items more. Well, I'm not sharing this bag. There were so many awesome items that I loved or could use. Nearly every item in the bag was a keeper. The 2 day conference ticket ran me about $300, this bag and all the other items that I was gifted by the conference could easily total over $1K. Want to get a sneak peek into the items that I got. Check my LuckyFabb swag bag video below. Loved to see plus size represented on the panel. 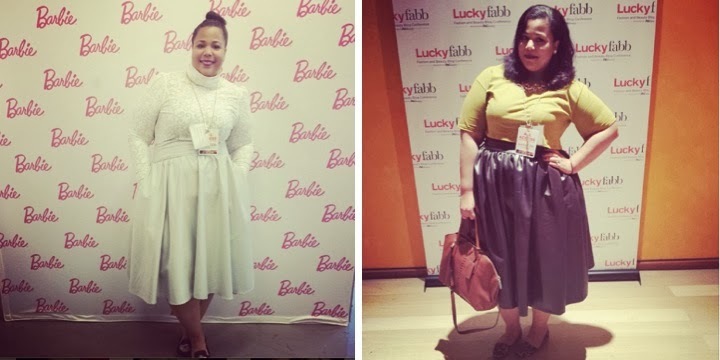 Gabifresh was on panel and a lot of plus bloggers came out just to support her. Day 2 was most helpful. Classes I attended focused on SEO, Photography, and Editorial Integrity. These could be found useful by anyone who is trying to grow a blog. It was awesome to connect with new people and bloggers. This event was great for networking. Representatives from ASOS, Linkshare, Modcloth, etc were there and very approachable. Awesome features included BryanBoy, Eva Mendes, & the Man Repeller. I got to room with AuthenticallyEmmie. Love her! I would have loved to see a little more diversity with more plus size and minority representation. It's to be expected because it's mainstream fashion, but I do think if you don't point these things out, they will never change. 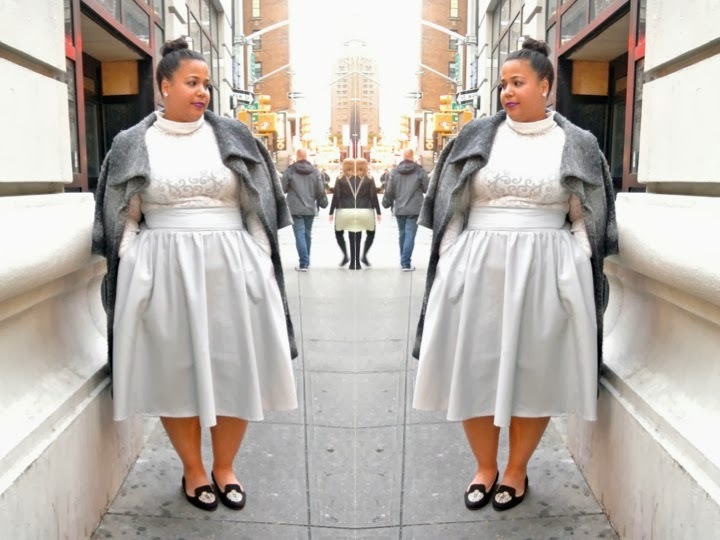 I will say that blogging almost has forced the fashion world to work on their diversity. People who would probably never really have a chance to be recognized are now being brought to the forefront because of their successful blogging platforms. A lot of the conversation was straight size fashion oriented. 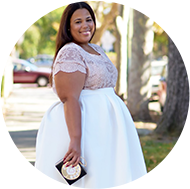 I think I live in sort of a plus size bubble, because of my blog. I was listening to the editor talk about Chanel boots and other panelists talk about their high end fashion. Now I love fashion just as much as the next girl, but I know that I will never own anything from a lot of the designers they talked about. It kind of made me feel like an outsider to the "real" fashion world. 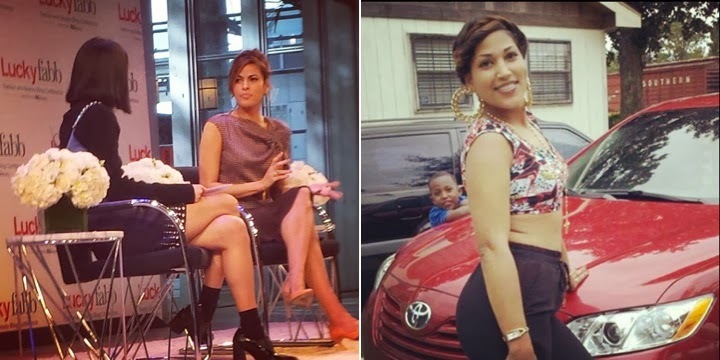 In the same breath, I did like listening to Eva Mendes, she seemed very real, relatable, and down to earth. Anyways, these are just my thoughts. NYC traveling is always pricey. Be prepared. I know there is probably a lot more than this that I could add, but I'm kind of fuzzy as I am getting back into the swing of things over here. If you have any questions or would like my thoughts on anything, I am just one comment away. :) Don't hate me because of my clothing choices. I know the items that I wore are old and probably sold out. I was waiting on packages to arrive for NYC, but they didn't come until after I left. I had to make it work with what I had. You looked too cute!!! Love that skirt! There was a lot of stuff in that bag! Even though I would have given the majority of the items away, I still would have enjoyed receiving them. this outfit was really cute!! Absolutely loving this look! The dress is perfect and the sweater is amazing. Perfect for a NYC style day. The LuckyFABB event sounds nice. There is usually one in the Los Angeles area as well. I haven't had a chance to make it, but I'm planning to when it returns. Great recap, I can definitely see your point in regards to most seminars/conferences are always geared toward the straight sizes. As long as we continue to make our presence known at these events, they will start to add more plus size discussions and panelists. You look fabulous as always! I am dedicating my 2014 to traveling for blogging and fashion events, so thank you for capturing and providing information on Lucky Fabb. I was very curious to see if it was worth my while. Now I see it is! I hope we go to a few of the same events so we can finally meet! Please don't apologize for wearing things already in your closet! 1, GREAT outfit and 2, I always enjoy seeing remixing of existing garments. Inspiration often comes from the new perspectives. Great recap of the conference too. It all sounds so exciting! I love your outfit!!!!! Fabulous! !